Since the past few years, North Carolina has been ranked among the top 5 best states to do business. This recognition is according to major American Business Magazines such as the Forbes, CNBC and Site Selection. The rankings were calculated by six categories, labor supply, economic climate, regulatory environment, quality of life, and business costs. The success and momentum of North Carolina’s business climate are propelled by superior infrastructure, groundbreaking university research, low business costs and a fast pace of life. All these inspire talented and hardworking people to showcase their skills and knowledge. Buying a business in North Carolina or selling a business in North Carolina is a great option due to the aforementioned. The term “business friendliness” refers to the government-imposed regulations and legal framework including the environmental and health standards to be followed by businesses. While more extensive business organizations have succeeded in ranking high there has been some complications for small enterprises in clearing the licensing procedures. With major tort reforms and the strengthening and streamlining of business, courts have taken North Carolina new heights in terms of legal climate rankings in the U.S. The low cost of doing business is North Carolina is mainly a result of reliable and low construction costs as well as low electricity costs which are well below the U.S. average rate. The latest state tax reform package in North Carolina has been able to significantly reduce both personal and corporate income tax alongside higher deductions for property taxes and mortgage interest. The low cost of living combined with competitive labor costs is what makes North Carolina a major business hub of the U.S. Being centrally located on the eastern seaboard, North Carolina has excellent transportation infrastructure. It provides an optimal point of access to customers and markets helping in keeping delivery costs and freight low. It offers global market accessibility via two seaports, four major airports and the second-largest state-maintained highway in the U.S.
North Carolina proudly boasts of its highly educated labor supply comprising of graduates from more than 50 Colleges and Universities including the elite institutions of the University of North Carolina and the Duke University. The State budget has reduced the education funding by almost $500 million alongside eliminating $53 million from the Dept. of Health and Human Services. On the other hand, it has increased the amount provided to the Department of Commerce which is responsible for job training programs. This has resulted in the lowest rate of Union membership in the country. The strong and diverse economy of North Carolina is influenced by the high rate of employment, the booming real estate market scenario, the top credit rating status and the economic development strategy of the State. The unemployment rate is relatively low and the AAA credit rating from major credit rating agencies is a major plus as well. Besides the factors mentioned above, there are a host of other factors as well that contributes to the success and consistency of North Carolina as one of the best states for doing business in America. Many of the elements are subjective and immeasurable making it difficult to put a quantitative ranking on them. But considering the overall scenario, North Carolina has succeeded in attracting businesses just like robust economies such as New York and California. If you’re looking to buy a business in North Carolina, sell a business in North Carolina or just speak more with one of our experienced team members based in North Carolina, please go to our contact page and reach out. 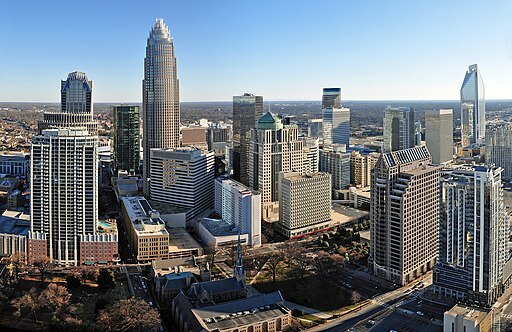 We also specialize in business valuations in North Carolina as a result of our deep involvement in the state.